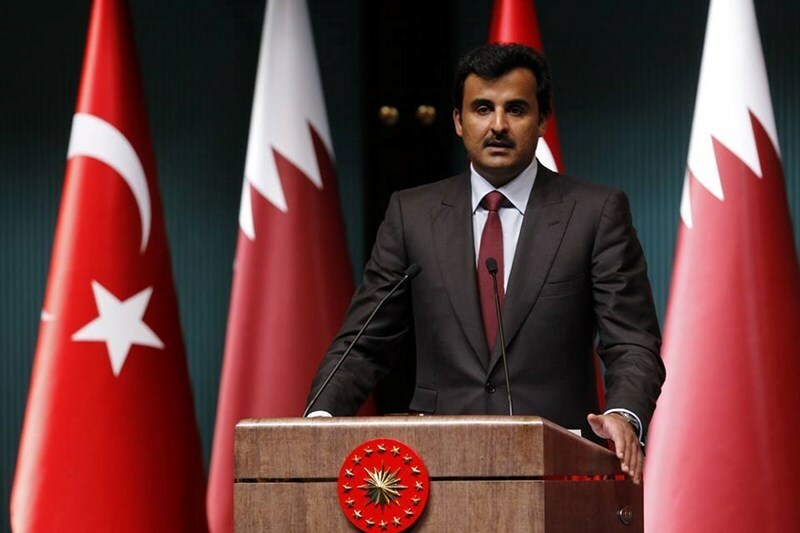 The Emir of Qatar Sheikh Tamim Bin Hamad has renewed his country’s backing for the Palestine cause and called for granting the Palestinians their rights. Addressing a joint press conference with the president of Turkey Recep Tayyip Erdogan in Ankara on Friday evening, he said that Palestine is the only colonized country in the modern world. He said that it was unacceptable that the world would not act to help the Palestinians regain their rights. Qatar is an ardent supporter of Palestinian rights and reconstruction of Gaza Strip and was at the forefront in contributing to its reconstruction. 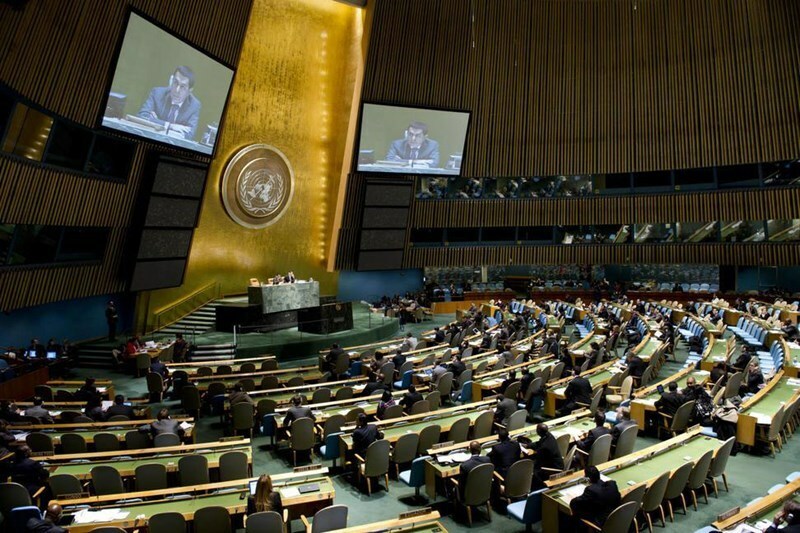 The UN General Assembly on Friday adopted a resolution that recognizes the permanent sovereignty of the Palestinian people in the West Bank, east Jerusalem and the Gaza Strip as well as the Arab population in the occupied Syrian Golan Heights over their natural resources. The UNGA adopted the resolution with 165 votes in favor to 6 against (Canada, Israel, Marshall Islands, Micronesia, Palau, US) and nine abstentions (Australia, Cameroon, Cote D’Ivoire, Honduras, Panama, Papua New Guinea, Paraguay, Tonga, Vanuatu). In addition to confirming the right of the Palestinians and the Golan people to their natural resources, including land, water and energy resources, the Assembly demanded in its resolution Israel to end all measures and policies that directly or indirectly contribute to exploiting, damaging, depleting and endangering the natural resources and the environment in the occupied Palestinian territories and the occupied Syrian Golan Heights. It also called on Israel to immediately and safely remove all un-exploded ordnance in the Gaza Strip and contribute to the success of the efforts of the UN mine action service in this regard. The resolution was one of 43 adopted by the General Assembly on Friday. A second resolution related to Palestinian rights was adopted without a vote - it called for Member States, international financial institutions of the United Nations system, intergovernmental and non-governmental organizations and regional and interregional organizations to extend economic and social assistance to the Palestinian people, in cooperation with the Palestine Liberation Organization and through official Palestinian institutions. It stressed the importance of following up on the results of the Cairo conference on Palestine, “Reconstructing Gaza”, to promote economic recovery and reconstruction in a timely and sustainable manner. The assembly voted 170-6 in favor of the resolution, with three abstentions. 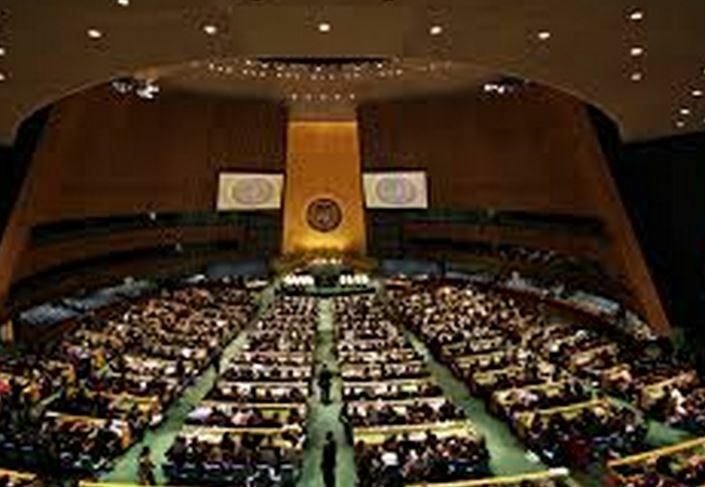 Israel, the United States, Canada, Australia, Micronesia and Marshall Islands voted "no." Hamas Movement's lawyer at the European Union Khaled al-Shuli revealed that the European Court of Justice’s decision to remove the Movement from EU terrorism blacklist also includes its armed wing al-Qassam Brigades. Hamas will be allowed to officially open offices in Europe in three months in case no appeal was submitted in the two first months, he pointed out. In his remarks to al-Jazeera Net, the lawyer said that the court’s decision came after five years of continued hard work since 2010. Our work concentrated on proving that adding Hamas to EU's list of terror organizations in 2003 was an illegal decision that does not commensurate with the law known as the EU Common Position adopted in 2001 in the context of the fight against terrorism, he said. In paragraph 3 of article 4 of the Common Position, any person or party could not be added to the EU blacklist without an arrest warrant issued by any European country, and this is not the case with Hamas, he continued. He stressed that Israel could not appeal against the court’s decision as it is not party to the case and it is not a member of the EU. After three months from now, the ban on Hamas Movement’s funds in Europe could be lifted, the lawyer pointed out. He added that Hamas could also establish political ties with European countries and could open official offices in Europe. Furthermore, Hamas’s members could legally get visas to Europe, the Movement’s lawyer said. 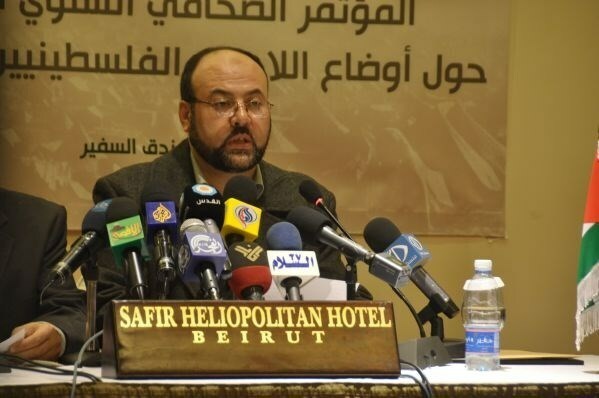 Hamas's representative in Lebanon Ali Baraka said Friday that a recent visit by a Hamas delegation to Tehran "opened a new chapter" in relations between his Movement and Iran. "Tehran has pledged to continue supporting the Palestinian resistance", Baraka told the Anadolu Agency on Friday. The visit came after we did not receive responses from a number of Arab countries that we had asked to support our people, he added. He warned against the serious implications of the continued delay of Gaza construction and Israeli siege, saying that this current situation might lead to a new war. Baraka pointed out that Hamas's visit to Tehran came following Israel's summer offensive on the blockaded Gaza Strip, saying that his Movement was keen on maintaining good relations with all Arab and Islamic countries. The visit aimed at mobilizing Arab and Islamic support for the Palestinian resistance in light of the systematic Judaization schemes in occupied Jerusalem and the escalated settlement expansion. Baraka stressed that Hamas works at reinforcing its ties with Qatar, Turkey, and Iran in order to safeguard the resistance. The visit opened a new chapter in the Movement's relation with Iran after a period of chill, he said, pointing out that the delegation received promises to continue supporting the Palestinian resistance. Earlier last week, a Hamas delegation visited Tehran to restore normal ties with Iran, after being soured in recent years due to Hamas's position towards the Syrian crisis and its rejection to support Bashar al-Assad. "Hamas welcomes the support of any Arab or Muslim state. But unfortunately, the Arabs are just spectators," he said thanking Iran, Qatar, and Turkey for backing the Palestinian people's steadfastness and their efforts to stop the Israeli aggression on Gaza. On the other hand, Hamas’s representative pointed to the difficult humanitarian situation in Gaza Strip as more than 110,000 people are still homeless after Israel’s summer offensive. The pledges that came out of the Gaza donor conference in Cairo on Oct.12 have not yet materialized due to the Israeli and international complicity, according to his statements. He pointed out that the Rafah crossing is also still closed before passengers and the building materials' entry. He called on the Arab League, the Organization of Islamic Cooperation, and the United Nations to work immediately on reopening the Rafah crossing and the entry of building materials into the besieged Strip. Regarding the European Court of Justice's decision to remove Hamas Movement from the EU terror list, Baraka said that adding the Movement to the EU's list of terror organizations in 2003 was an illegal and unjustified measure. The decision was a victory for the Palestinian people and would pave the way for a new phase in Hamas's relations with the European countries, he underlined. Along the same line, Hamas's representative declared his Movement's support for Jordan's backed Arab step to submit a draft resolution to the UN Security Council calling for ending Israel's occupation of Palestinian lands occupied in 1967 no later than the end of 2017. He said that Hamas supports any effort that works on restoring Palestinian rights, slamming Abbas's retreat from his previous demand to end occupation in two years in response to the French initiative that calls for giving a new chance for negotiation for a whole year. Hamas totally refuses the resumption of talks as it only serves the occupation, he stressed. Baraka called on Abbas to refuse the external pressures and to work on achieving a Palestinian national strategy based on resistance. People from around the world on Friday turned off their lights for 60 minutes to symbolically simulate the suffering of Gazan families who live with long hours of power outages. Pro-Palestinian activists had invited all people around the world to turn off their lights on Friday for one hour from seven to eight o'clock in the evening according to local time for each city, to experience how life could be like under blockade and in darkness. Scores of people from different countries posted photos showing them or their families staying by candlelight in their homes or workplaces during the hour of solidarity with Gaza. 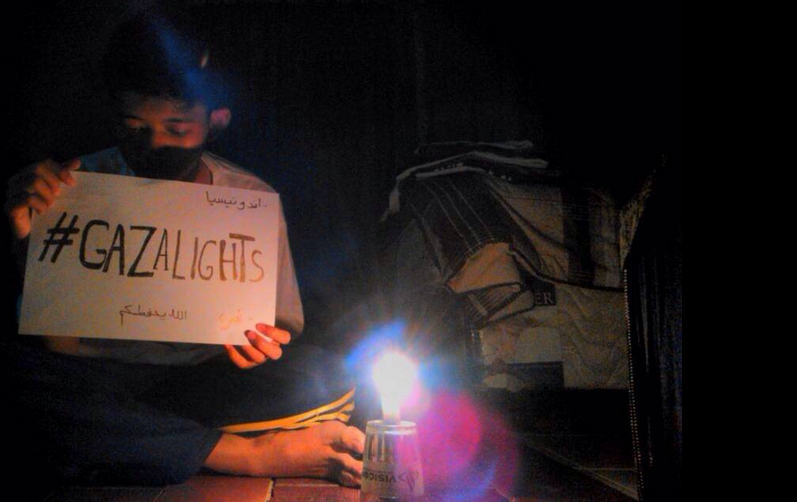 "We will not leave Gaza alone in the dark … We will turn off lights everywhere" was the slogan of the campaign, which multinational activists had started to publicize on social networking sites in several languages one month ago under the hashtag #GazaLights. The campaigners said they also aimed to draw the attention of the world's governments to the suffering of Gazans. Since 2012, electricity in Gaza has been operating according to a rotation system, where it works for six or eight hours in some areas and cuts off for similar hours to provide other areas with power. In November, the Israeli occupation government officially rejected a proposal of allowing a Turkish power ship to stop near the Gaza coast to help solve the electricity crisis there. Experts have received the decision of the European Court of Justice (ECJ) to remove Hamas from the terrorism list with mixed feelings. They welcomed the decision yet they expressed concern that it might not lead to root changes in the European Union’s stands regarding the Islamic Movement. Ibrahim Madhoun, the director of Al-Mustaqbal Center for Studies and Research, mentioned the consequential caveats of this progress, pointing out that the decision is tentative and not final. He called on Hamas, in his statements to the PIC, to be careful not to fall in the European trap which demands Hamas to change its policy against the occupation and its firm position not to recognize Israel. The European Commission announced on Wednesday that the decision of the (ECJ) is legal rather than political, stressing that the European Union (EU) still considers Hamas a terrorist organization and will take the appropriate corrective steps in the right time including a possible appeal against it. 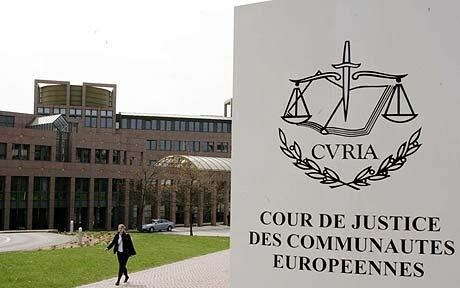 ECJ ruled on Wednesday (17-12) that the EU decision to include Hamas in the terrorism list is null and void, and gave the EU three months to appeal the ruling. Madhoun said that this decision is a valuable opportunity for the chairman of the Palestinian Authority Mahmoud Abbas to initiate a fresh start with Hamas in order to join their efforts so as to agree upon a unified Palestinian strategy that combines resistance with politics. The decision was highly welcomed by the Hamas Movement. Mousa Abu Marzouk, political bureau member of Hamas, expressed his gratitude to the court and considered this decision a victory for all resistance supporters. The EU had included Hamas in its terrorism blacklist in 2003 on the backdrop of its resistance attacks against Israeli occupation. Abdul-Sattar Qassim, a professor of political science at Al-Najah university in Nablus, considered that the decision is not of practical benefit in light of the conflicting agendas as Hamas stresses its pursuance of the resistance option while the EU backs only political moves to solve the Middle East conflict. Dr. Rami Abdo, the director of the Euro-Mediterranean Observatory for Human Rights, said that the decision exposed the EU’s moral scandal. He opined that the decision was a correction of a previous mistake, adding that the decision to include Hamas in the terrorism list was merely based on false information from the media. 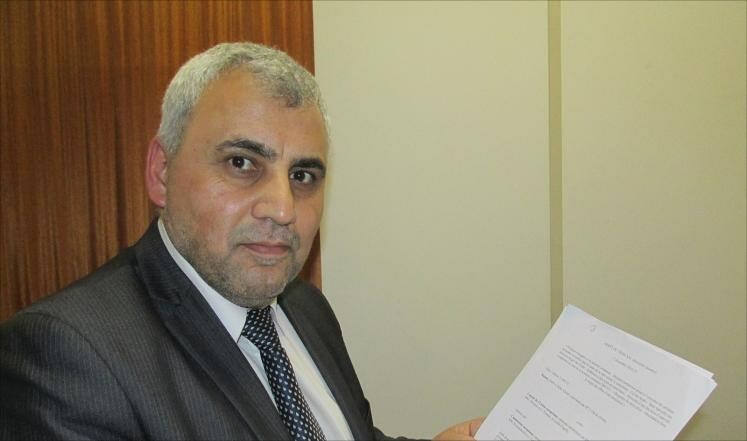 Hani Al-Basous, a professor of political science at the Islamic University in Gaza, laid emphasis on the fact that Hamas was removed from the terrorism list in the second highest European court while it is being incriminated in some Arab countries. He said that the decision should serve as a lesson for Egypt, which is supposed to stand by the Palestinian resistance rather than stand against it, in reference to an Egyptian court ruling that labeled Hamas as a terrorist organization and ordered closure of its offices in Egypt. “Hamas could be at the threshold of a new era that would open all doors before it with the international community,” Basous said. The International Trade Union Confederation (ITUC) has officially recognized Palestine as a state, expressed its support for ending the Israeli occupation of Palestine, and has called for speeding the reconstruction of the Gaza Strip. The decision was made Thursday, during a conference in Brussels, while approving of many recommendations and resolutions with regard to boosting the power of workers around the world, and establishing programs for the Arab world as part of plans meant to support the Arab Labor Union and its affiliated unions. Head of the Palestinian Trade Union, Shaher Sa’ad, attended the conference and said that many will be organized soon, with a number of representatives from international unions, including the elected General Secretary of the ITUC Sharan Burrow, in attendance. Burrow will be meeting with several Palestinian officials, to observe the situation in the Gaza Strip, West Bank and occupied Jerusalem. She intends to present Palestinian leadership with the resolution of the ITUC World Conference, held in Berlin, back in May this year, in denunciation of the ongoing Israeli occupation of Palestine, and calling for recognition of an independent Palestinian State with Jerusalem as its capital. It also called for an end to the construction of illegal Israeli settlements and the removal of existing settlements, Israel’s full withdrawal from all Palestinian lands occupied since June 4, 1967, as well as the dismantling of the Annexation Wall. 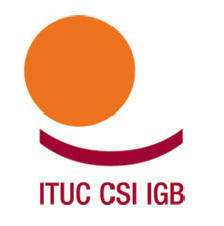 The ITUC includes 170 Million members from 312 affiliated organizations from 175 countries around the world. The United Nations General Assembly passed on Thursday, by an overwhelming majority, a resolution recognizing the Palestinian legitimate right to Self-Determination, including the right to an independent Palestinian State. 180 countries voted for the resolution, while only seven states, including the United States and Israel, voted against it. The seven countries are Israel, the United States, Canada, Marshal Islands, Micronesia, Nauru and Palau. Four Countries (Cameroon, Tonga, South Sudan and Paraguay) abstained. Permanent Palestinian Observer at the United Nations in New York, Riyad Mansour, said the vote is a continuation and strong affirmation of the international support for the legitimate rights of the Palestinian people, led by their right to self-determination and liberation. He added that the resolution urged all countries, and all related international and UN institutions, to continue their support for the Palestinian people, and to help them in achieving their independence as soon as possible. 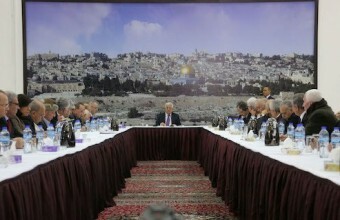 The General Assembly affirmed the “urgent need to resume and speed the political process in the Middle East,” based on all related resolutions and agreements, including the Land for Peace principle, the Arab Peace Initiative, and the Roadmap Peace Plan, in order to reach a comprehensive peace agreement based on the two-state solution. On November 29 2012, the General Assembly passed an overwhelming vote granting Palestine a Non-Member Observer State Status in the United Nations. The draft resolution passed by 138 votes, while nine countries voted against it and 41 abstained. The countries that voted against the resolution were the United States, Israel, Canada, Marshal Islands, Micronesia, Nauru, Palau, Czech Republic and Panama. Palestinian President and Fateh party member Mahmoud Abbas submitted, on Wednesday, the awaited UN resolution draft setting terms for final peace talks with Israel, saying that Palestine is open to negotiations. The drafted resolution sets the year 2017 as the final deadline for Israeli withdrawal from the occupied Palestinian territories, the Palestinian News Network (PNN) reports. Fellow Arab League member Jordan will present the draft to the UN Security Council, said envoy Riyad Mansour, adding that he would not press for an immediate vote on the text of the draft, in order to allow the opportunity for further discussion on the matter. The move will open the door for possible US engagement on the initiative. "We will continue negotiating with all of them and with the Americans if they are ready and willing so that we, perhaps, can succeed in having something adopted by the security council to open a serious door to peace," the envoy said. The draft calls for a "just, lasting and comprehensive peace solution that brings an end to the Israeli occupation" and "fulfills the vision" of a Palestinian state with Jerusalem as its shared capital. However, US administration does not approve of any attempt to set a deadline for Israeli withdrawal from the occupied West Bank. US Secretary of State John Kerry told reporters: "We don't have any problem with them filing some resolution, providing it's done in the spirit of working with people to see how we could proceed forward in a thoughtful way that solves the problem, doesn't make it worse." According to the PNN, US administration, which has repeatedly vetoed Security Council resolutions which might undermine the authority of the Israeli state, declined to comment on whether or not it would actually veto the Palestinian draft, as was previously reported, arguing that it had yet to examine the text.